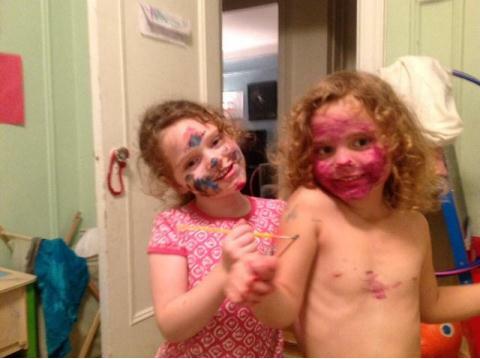 This week we asked: What does messy play look like? Alice is currently a Facebook Administrator and Contributor for The Badass Breastfeeder. Painting often ends up everywhere but the paper. It’s prettier that way. 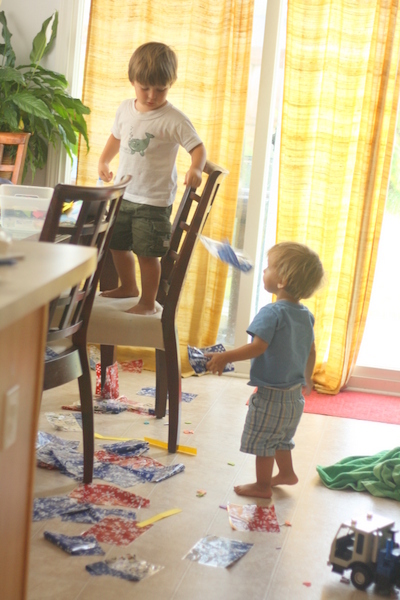 From Gaby: “Play and messy are synonymous in our house. Sam had the great idea to let Mikko have his own truck course through flour! It was cheap, and easy enough to clean up off the floor and the kid. Daniel enjoys a challenging sensory experience at OT: shaving cream play! 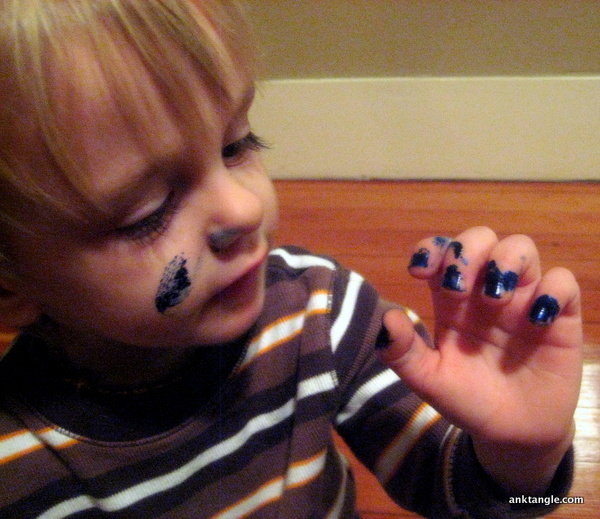 Daniel got into his Momma’s nail polish when he was supposed to be napping. 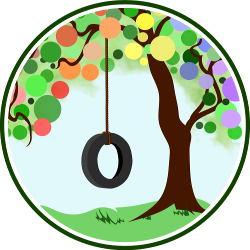 Daniel’s Momma, Amy, blogs at Anktangle. Tyler and a friend passed the time with some washable markers while chaperoning a MNO event. 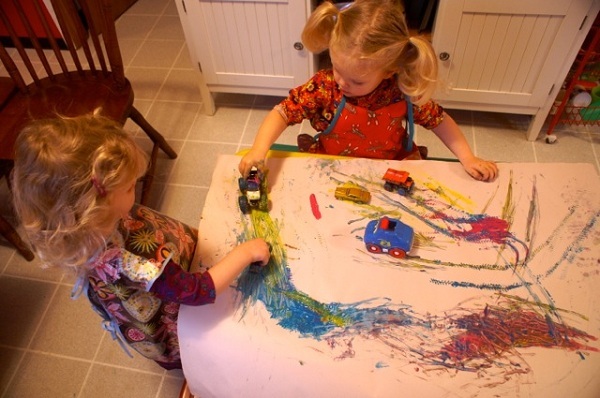 Tell us: What does messy play look like in your family? I need to do the shaving cream and flour ones with my preschooler, I think. They somehow seem less messy. 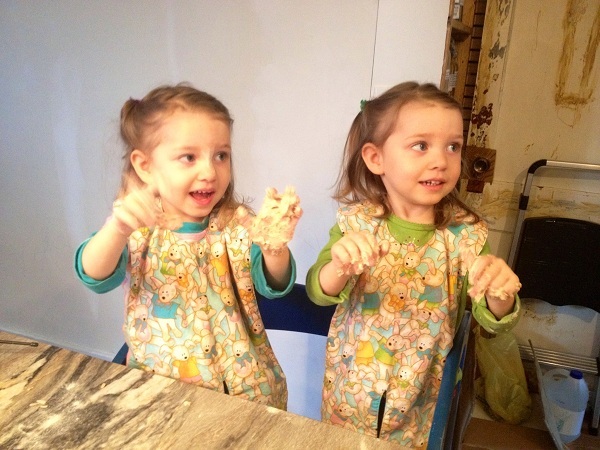 My kids like messes – its me that doesn’t! I especially hate food messes, though. 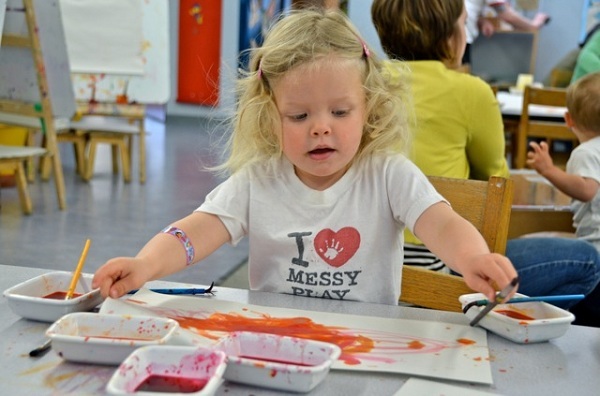 And I *love* that Kristin’s daughter, Delia, is wearing a shirt that says “I <3 Messy Play!" 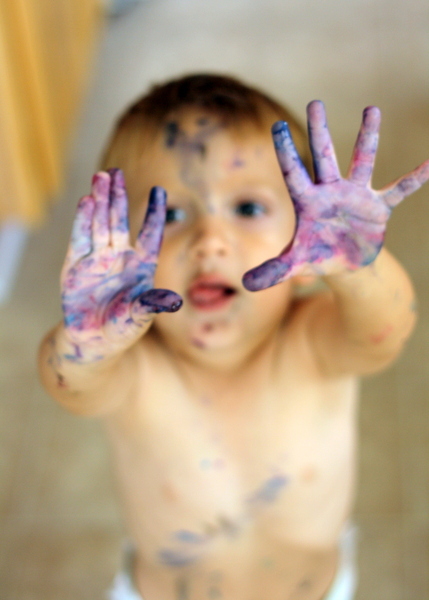 I love messy kids! Especially when I can just look at the pictures and I don’t have to clean it up. It’s funny that you think the shaving cream and flour look less messy, MommaJorje. I guess that goes to show that it’s all in your perception! No matter what, it can be cleaned up. And if not, you just buy a new sofa every 5 years or so, heh heh. hahaha, I know, right? 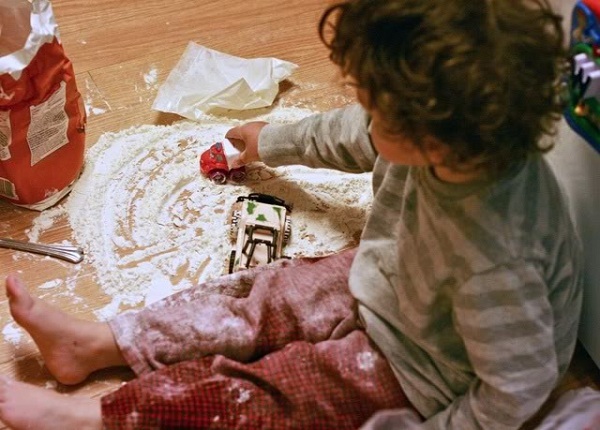 I wouldn’t really WANT my kids to make a big flour mess, but… yeah. 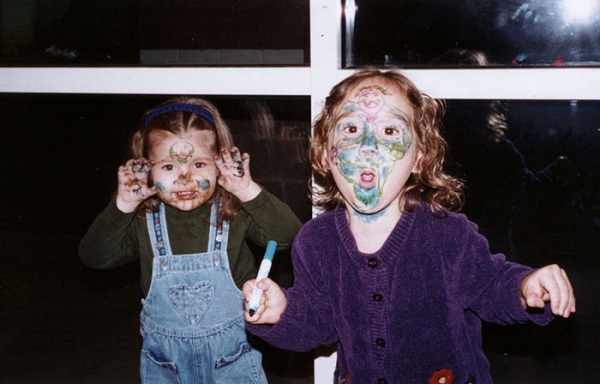 Oh man, I had one kid that got into some baby powder when she was a preschooler. She made a HUGE mess in her room! She had little powder mountains on her book shelves and had been making her entire room foggy with the stuff! It was nuts!